26-years after Ab Fab became a cultural phenomenon on television, the hedonistic ‘sweetie darling’ duo invade the big screen with their Absolutely Fabulous larger than life movie. 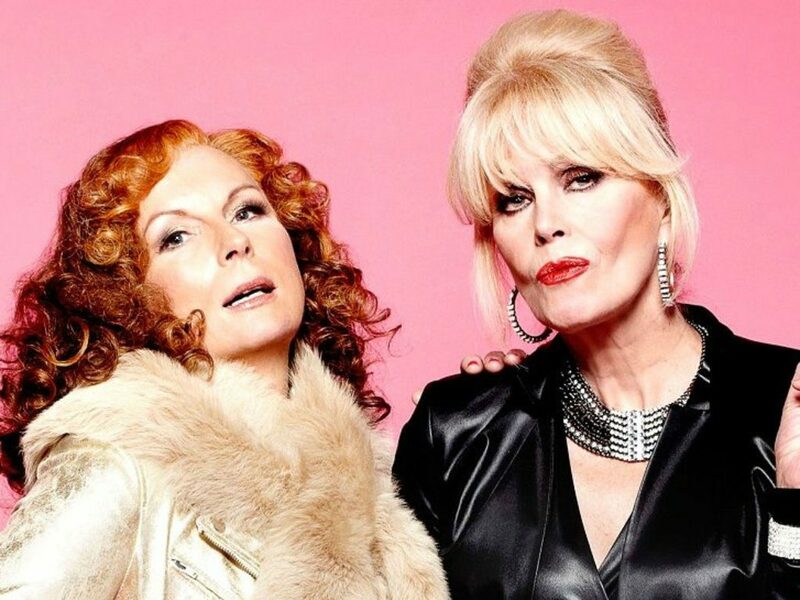 Appropriate for their big screen debut, Edina Monsoon and Patsy Stone (Jennifer Saunders and Joanna Lumley) are still oozing glitz and glamour, living the high life they are accustomed to; shopping, drinking and clubbing their way around London’s trendiest hotspots. But when they accidentally push Kate Moss into the river Thames at an uber fashionable launch party, Eddy and Patsy become entangled in a media storm surrounding the supermodel’s untimely demise and are relentlessly pursued by the paparazzi. Fleeing penniless to the glamorous playground of the super-rich, the French Riviera, they hatch a plan to make their escape permanent and live the high life forever more! Once again, outrageous and sensational style, sassy sensibility, and warped wit is back in fashion and destined to dazzle a new generation of filmgoers, and regenerate their swarm of loyal fanatics. In a sense, it is essential to have an Ab Fab mindset to fully comprehend the influence and fearless attitude it passed on to those who were bewitched by its magical spell, giving everyone the right be be their own person and defy traditional conventions. It all began when the acidic wit and controversial humor of master British satirist Dawn French and Jennifer Saunders surfaced with French and Saunders. It satisfied the appetite of TV viewers who were looking for entertainment that dared to be different and challenged fixed cultural mindsets, resulting in the creation of the outrageous Little Britain and deliciously dark League of Gentleman. Jennifer Saunders (Screenwriter/Executive Producer) is one half of the comedy duo French and Saunders and an original member of The Comic Strip. She wrote and starred alongside Joanna Lumley in ‘Absolutely Fabulous’, the television series. Saunders co-wrote and acted in ‘Girls on Top’, ‘The Life and Times of Vivienne Vyle’ and ‘Jam and Jerusalem’. Elsewhere, Saunders played the Fairy Godmother in Shrek 2, voiced the role of Miss Reason in ‘This is Jinsy’ for Sky, and recently played Lady Constance Keeble in two series of ‘Blanding’s for the BBC. She narrated ‘The Stick Man’, which aired over Christmas 2015. ‘Absolutely Fabulous’ has won numerous international awards: 2 International Emmys, 6 BAFTAs, Writers Guild Awards, the Rose D’Or, 2 Royal Television Society Awards, A People’s Choice Award, and 4 British Comedy Awards. In 2009, French and Saunders were honoured with a BAFTA Fellowship. In 2012, Saunders won the BAFTA for Best Female Comedy Performance for her role in the ‘Absolutely Fabulous’ 20th Anniversary Specials. Saunders’ autobiography, ‘Bonkers: My Life in Laughs’ was published in October 2013. In 1990, Jennifer Saunders and her comedy partner Dawn French were writing the scripts for the third series of their hit TV show, “French and Saunders”, when they came up with a sketch about a mad, ‘modern’ mother, an ex-hippy called Adriana – as played by Saunders – and her sad, straight-laced daughter, as played by French. One year later, in 1991, French and Saunders were preparing to film their fourth series. Studios had been booked at the BBC and the show’s longtime director, Bob Spiers, was in place. Just as the girls – who had been comedy collaborators since meeting at drama school in the late 70’s – were about to get down to writing the series, Dawn French and her then husband, Lenny Henry, got the phone call they had been awaiting hopefully for years; a baby girl was ready for adoption. Work had to be put on hold. Saunders – who got the idea for Eddy’s job from Lynne Franks, then London’s hottest fashion PR – wrote a treatment, and the wheels started to turn. 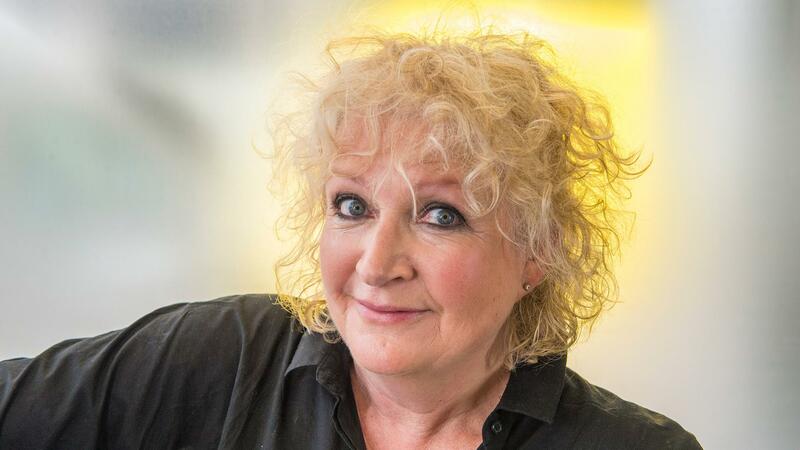 Jon Plowman, the “French & Saunders” producer (who went on to become the Head of Comedy Entertainment at the BBC), liked the idea and encouraged her to go away and write a pilot. Saunders scribbled the pilot – ‘Fashion’ on an A4 notebook. In it, Eddy wakes up on the day of her big fashion show to a hangover and a guilt trip from her daughter, Saffy. Along with her best friend, Patsy, Eddy turns the show into a rousing success and, the next morning, she and Patsy trick Saffy into thinking that Eddy is going to check into rehab. Originally broadcast on the BBC in 1992, “Absolutely Fabulous”, or “Ab Fab” as it would come to be known, aired to instant acclaim. Patsy and Eddy shocked and delighted in equal measure, Saffy made our toes curl and gave the show a heart, Mother knocked us dead with her withering one liners and Bubble made us laugh out loud with her surreal inefficiency. It was a show that had something for everyone: a dysfunctional family, a die-hard friendship and a huge, outrageous sense of fun. 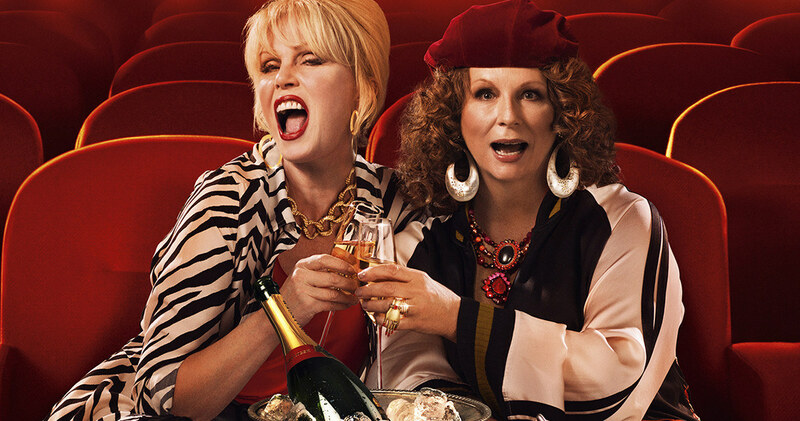 Riding high on its runaway popularity, “Absolutely Fabulous” – which was also bought by the Comedy Central in the US in 1994 – ran for three series, from 1992 to 1995 (winning the BAFTA Award for Best Comedy Series in 1993). In 1996, a two-part television film entitled “The Last Shout” was to be its finale. But the world wanted more and, between 2001 and 2004, two further series and three one-off specials aired. Seven years later, in 2011, Saunders once again bowed to public demand with two further hour-long specials on Christmas Day 2011 and New Year’s Day 2012, both directed by Mandie Fletcher. A further special aired to coincide with the 2012 London Summer Olympics (also directed by Fletcher, and for which Saunders won a Best Actress BAFTA) – was to be the last. But four years, and much lobbying later, Saunders has finally given the world what it has really been waiting for: Absolutely Fabulous: The Movie. “You keep meeting people and they keep enjoying it, but it was Joanna Lumley who finally forced me into it,” says the arch-procrastinator, Jennifer Saunders, a woman much happier sweeping her terrace or cleaning her keyboard than she is actually sitting down to write. 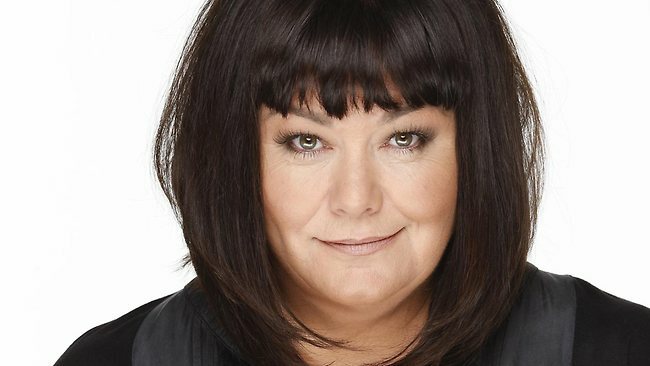 Around the same time, Saunders was recording her Radio 2 Christmas show with her old friend and collaborator, Dawn French. When French asked her, live on air, what her New Year’s Resolution was, Saunders (who had recently published her autobiography “Bonkers: My Life in Laughs”) replied that she was determined to finally write the script for the film version of “Ab Fab”. French, who had heard it all before, spotted an opportunity. “She said that, if I hadn’t written the script by the same time the following year, I would have to pay her £10,000,” Saunders remembers. French & Saunders shook on it and the deal was done. “I was pretty confident that I would have written it by the summer,” says Saunders. One year later, on the eve of recording their end of year 2014 show, Saunders realised, in a blind panic, that she hadn’t fulfilled her side of the bet. “I had such a mental block about writing it,” she admits, “I just couldn’t quite see it yet.” Not wanting to suffer the indignity of losing the bet, not to mention the £10,000, Saunders quickly banged out the first 30 pages of a 90 page script. On the blank 60 pages, she simply wrote “Blah, blah, blah”, hoping that French might not notice. “This was just before Christmas and I argued that I had until New Year,” Saunders remembers. Still, Saunders had kept her side of the bargain and, by then, the word was out. 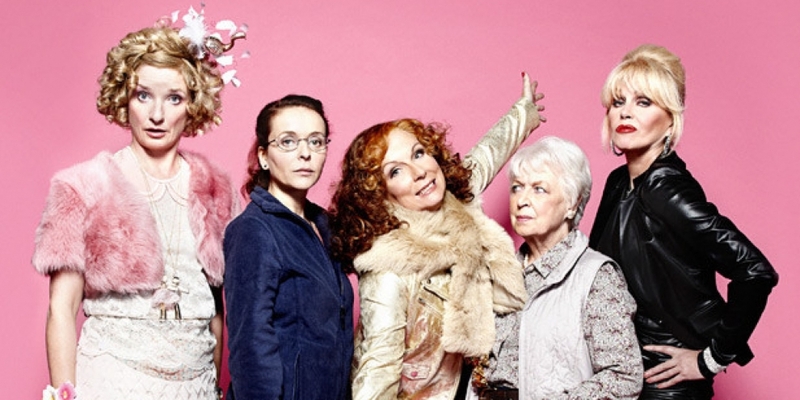 “Most movies are a script in search of some money,” explains Jon Plowman, who had produced all five series and seven specials of Ab Fab over the years. Albeit a little unwittingly, Saunders was now committed. She was not without her worries. The subject of aging in the modern world was something of particular interest to Saunders, herself now a grandmother of two. “Eddy and Patsy don’t know how to grow old, in the way that none of us seem to these days,” she says. Patsy and Eddy do what most of us would like to do but that which we don’t quite have the guts to do. And now, on the big screen, their glorious misbehaving is going to be amplified. But Saunders was determined that, along the way, there needed to be a moment of reckoning. No victory can be sweet if there isn’t a lot to lose. But Patsy and Eddy will never lose. They can’t lose because at the end of the day their audience wants to see them win. Firstly, because of their friendship, which is a thick and thin union that has lasted longer and more joyously than most marriages of the same length. And secondly because, in their boundless optimism and resolute refusal to be anything but themselves, they provide the perfect comic tonic to real life. Mandie Fletcher (Director) began her career at the BBC and won the Best Comedy Series Award at the BAFTA’s for directing the second and third series of ‘Blackadder’. Fletcher’s film credits include Deadly Advice and and Born Kicking, a 90 minute film for BBC’s “Screen One”. Fletcher has previously worked with Saunders directing ‘Blandings’, three series of ‘Jam and Jerusalem’ and ‘Absolutely Fabulous’ for three 20th Anniversary Specials. In 2011 Fletcher was named Director of the Year by Women In Film and TV. Filming on Absolutely Fabulous: The Movie began in October 2015. From the outset, the team behind the film were determined that its denouement should take place on the Cote d’Azur. “Our ultimate aim was to open the TV series – which largely took place in the closed set of Edina’s house – up into 360 degrees,” Harry Banks explains. “It was basically just like Christmas every day,” says producer Jon Plowman of the joys of reuniting the original “Ab Fab” family. Getting the gang together was, in many ways, the easiest part of the filming process. “We all hoped it was going to happen at some point because the longing for it was just so colossal,” says Jane Horrocks. After years of togetherness, Saunders and Lumley are a particularly sharp double act. “Some of my happiest times have been sitting in costume with Joanna, having conversations in character that just make us pee,” says Saunders. For their chemistry to work at its highest possible frequency, all the J’s – most particularly Saunders, Lumley and Plowman – felt that it was essential to work with a director who could speak their language. From the outset, the award-winning director Mandie Fletcher seemed the only girl for the job. Fletcher – whose top-drawer comedy credits include “Blackadder” and “Only Fools and Horses” – had previously worked with Saunders on three series of “Jam and Jerusalem” as well as on three 20th Anniversary Specials of “Absolutely Fabulous”. “She’s fast, she’s brilliant and, most crucially, she’s got a great sense of humour,” says Saunders. The admiration is certainly mutual. “I’m desperately fond of Jennifer,” says Mandie Fletcher. With Fletcher at the helm, the rest of the family fell very easily, and obviously, into place. Every key Head of Department – Production Designer Harry Banks, Costume Designer Rebecca Hale and Hair and Makeup Designer Christine Cant – all worked on the TV series of “Absolutely Fabulous” in some capacity. And even those who weren’t part of the original “Ab Fab” family – Director of Photography Chris Goodger and Editor Gavin Buckley – have significant collaboration history with Mandie Fletcher.